According to the office of the Chief Electoral Officer here, the FIR was lodged at Barasoi police station of Katihar district on the basis of a complaint lodged by the Election Commission’s flying squad. SHO Barasoi Chandra Prakash confirmed this. “We have registered an FIR against Sidhu under Section 188 of the Indian Penal Code and Sections 123 (III) and 125 of the Indian Penal Code. Sub-inspector Javed Ahmed has been made the investigating officer,” SHO Barasoi Chandra Prakash told PTI over phone. Sidhu made the controversial remarks at a public meeting on Monday in Kathihar. He was canvassing for Congress candidate and former Union minister Tariq Anwar. Excerpts of the speech telecast by news channels showed the cricketer-turned-politician urging Muslims to realise that they have a sizeable population in the area and to be wary of Asaduddin Owaisi’s AIMIM, that he dubbed as a party “propped up by the BJP”. 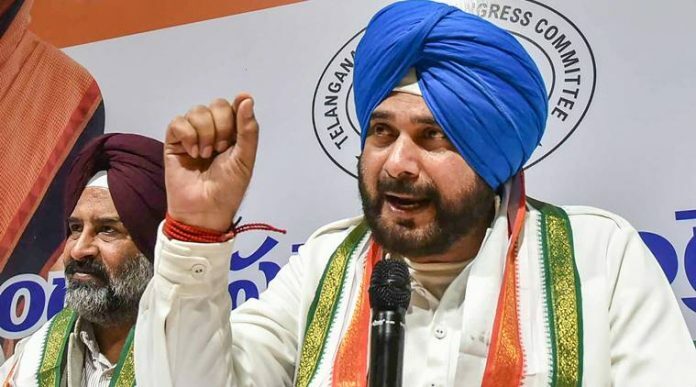 Sidhu asked the Muslim electorate to “vote en bloc” for the Congress candidate. “Modi will be done for. He will go for a six,” the Congress leader was seen telling the audience. His remarks came on the day when the ECI issued notices to Uttar Pradesh Chief Minister Yogi Adityanath, BSP supremo Mayawati and Samajwadi Party heavyweight Azam Khan, barring them from campaigning for different periods of time. Earlier, a nine-member delegation of the BJP, led by its state unit vice president Devesh Kumar, had visited the CEO’s office here and submitted a memorandum with the request to take “suo motu cognizance and lodge an FIR” against Sidhu. Sidhu, who has also featured in a number of television comedy shows, was with the BJP till 2016. He joined the Congress ahead of the 2017 Assembly polls in Punjab and was inducted into the state cabinet headed by Chief Minister Amarinder Singh.